Rabbits can make fantastic pets. Sometimes rabbits may be viewed as easy, low maintenance pets but this is not the case. Like all pets, rabbits require special care. Before acquiring a rabbit, it’s essential you know what’s needed to ensure your rabbit remians happy and healthy. A hutch should serve as a temporary enclosure only. It needs to be safe and secure for your rabbit and provide protection from predators. It should be large enough to allow your rabbit to exhibit its normal behaviours. 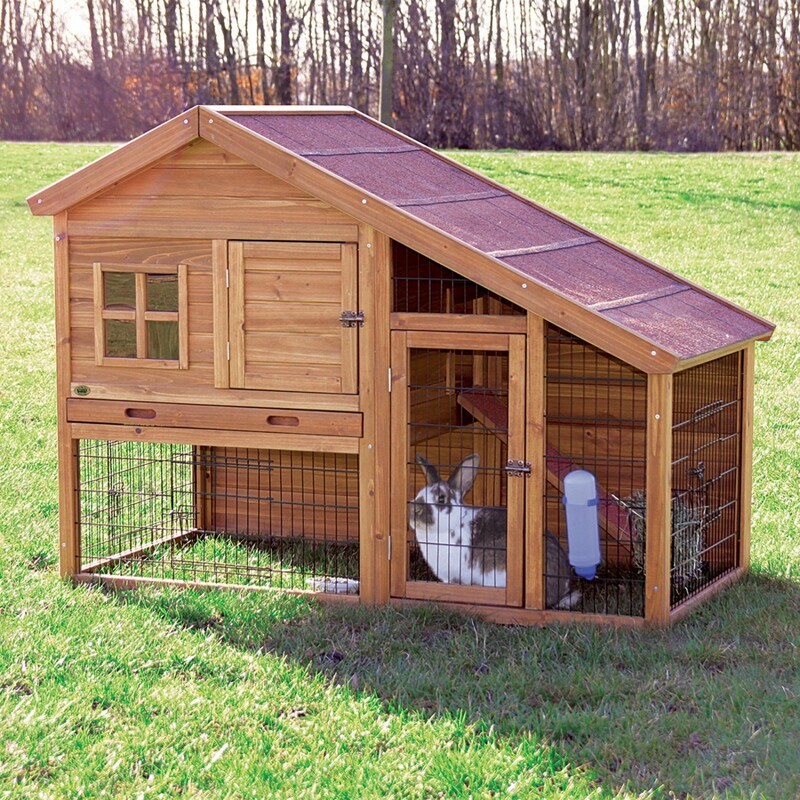 Hutches should be easy to clean and have an area with solid walls, roof and floor for the rabbit to hide and sleep in. 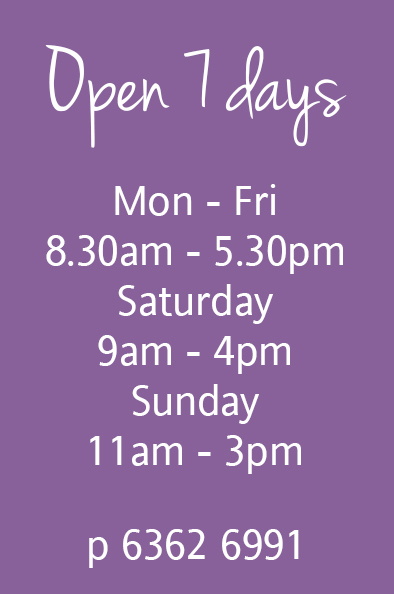 Suitable bedding includes hay, straw, shredded paper etc. Remove soiled bedding daily and totally clean the hutch at least once weekly. This should help to prevent ammonia build-up which can cause respiratory issues and attract flies to the area. If kept outdoors the hutch should be rain proof and well ventilated. Keep your bunny safe in extreme weather conditions by providing shade and ice bricks in the warmer months and a draft free position in the colder months with extra bedding and good insulation as well as a tarpaulin cover on the hutch at night time or on extra cold days or moving the hutch inside. It is also very important that the hutch, whether indoor or outdoor, uses fly screen wire or mosquito netting to keep out mosquitoes which can infect rabbits with deadly myxomatosis or calicivirus. Flyscreen wire or mosquito netting is also essential to keep out flies which can cause 'flystrike'. Flystrike is a life threatening condition where flies lay their eggs on rabbits and these turn into maggots. Maggot infestation can easily be fatal, so blocking flies is critical. When considering getting a rabbit as a pet, it’s essential to consider how much time you can interact with them. After all, this is one of the main reasons for having a pet. 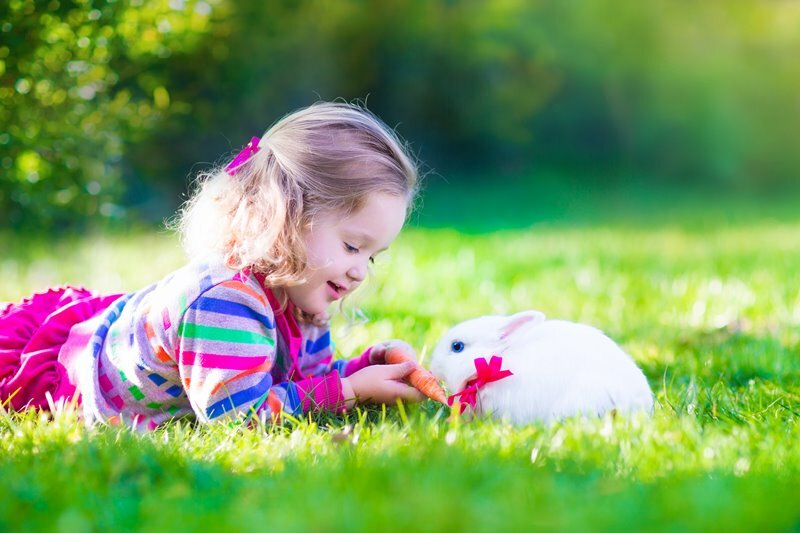 Even though you may not take your rabbit for a walk like a dog, you need to spend considerable time interacting with them every day including playing, stroking, grooming, feeding etc. Wherever your rabbit lives, it’s essential that they have some toys to play with as well as cardboard boxes, which they love to run in and out off and hide in. Toys can be wooden toys and old phone books to chew on. Chewing is a natural behaviour for rabbits. They actually have to chew because their teeth grow continuously and chewing wears them down. 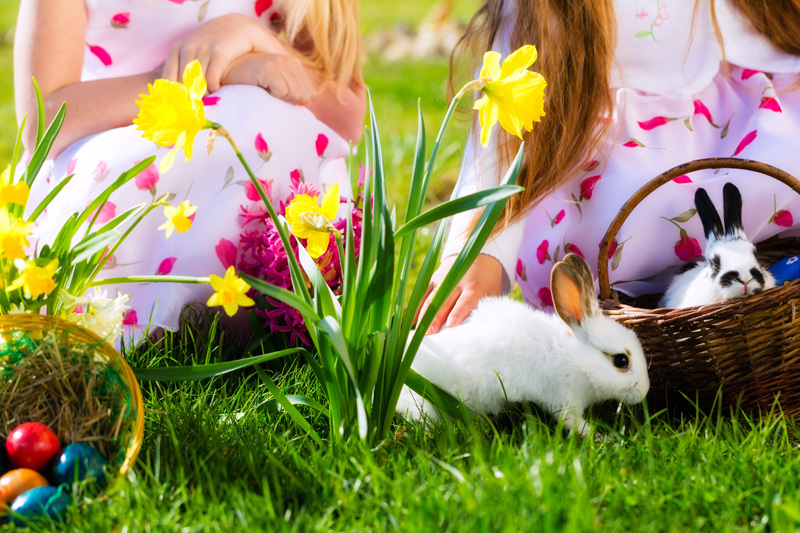 All pet rabbits should be given the opportunity to exercise outside the hutch for a few hours each day; this may be in a secure garden or indoors with your family. Exercise promotes good physical and mental health. 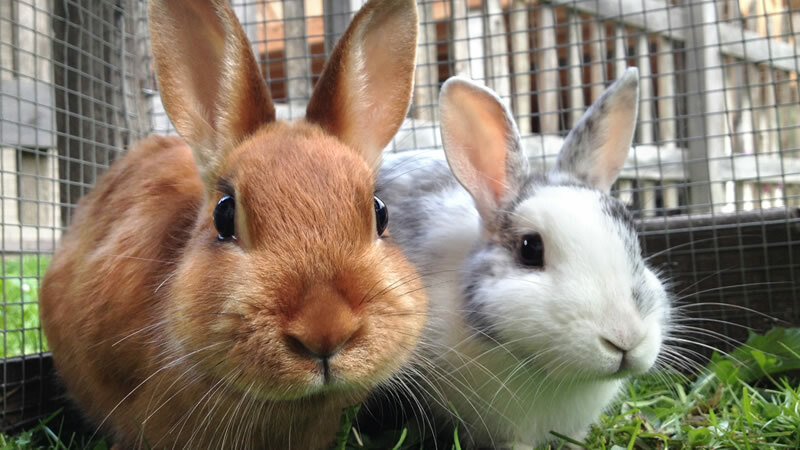 Rabbits can make great indoor pets and can be litter trained. If kept indoors ensure your rabbit also has access to unfiltered natural sunlight regularly. Feeding rabbits a balanced diet is one of the most important parts of their care. The majority of their diet (80%) should be composed of fresh grass and/or grass hay. Grass/grass hay can be supplemented with daily fresh leafy greens & vegetables. Chewing grass and grass hay is also critical to wear down their constantly growing teeth. Finally, health care is just as important for rabbits as for any other pet. Talk to your vet about vaccinations against calicivirus, worming and desexing. Many rabbits require regular grooming and may occasionally need their nails clipped. Having their teeth checked regularly is also important, as overgrown teeth and other serious dental issues are common in pet rabbits.